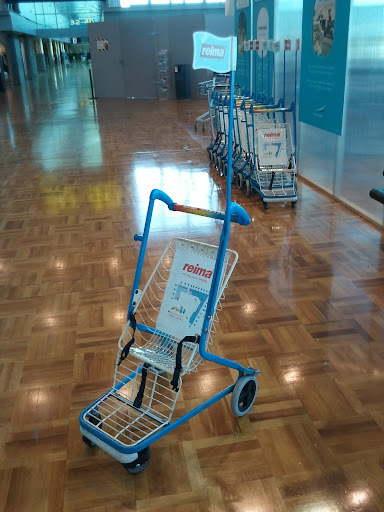 Stroller or baggage cart? I'm still trying to figure out the purpose of the flag. Maybe the baggage handlers have races when the terminals shut down. I tried to get a shot of an airport worker riding a three-wheeled kick scooter, but I was too slow.